Learning how to stop drinking alcohol is one of the most important parts of the recovery process. This is something that you may be able to do at home on your own or it could be the case that you require professional treatment. Either way, when you stop drinking alcohol permanently, you can look forward to positive improvements in your health and quality of life. What’s It Like to Quit Drinking? Quitting alcohol means looking forward to many positive changes in your body. Alcohol abuse has negative consequences for many of your body’s internal organs. The liver is perhaps the one organ that suffers the most as it is this that processes alcohol through your system. When you stop drinking, therefore, your liver will start to heal. To understand what happens to the body when alcohol is cut off, such as during ‘Dry January‘, a team of researchers at London’s Royal Free Hospital led by professor of hepatology, Kevin Moore, looked at the effects on 102 moderate drinkers who gave up alcohol for a month. The volunteers were mostly in the 40-something age group and were all drinking approximately 35 units of alcohol per week, which is more than double the current recommended weekly amount of 14 units. After the alcohol-free month, participants lost an average of 1kg to 2kg in weight and most saw their blood pressure and cholesterol levels drop slightly. Another significant finding was the results of their insulin resistance. Tests showed that participants risk of developing type 2 diabetes fell by around 25 percent after quitting alcohol for a month. In the case of someone with an alcohol dependency though, the immediate effects on the body may not be as positive. Withdrawal symptoms are likely to occur when alcohol supply is cut off and these symptoms could include headaches, nausea, vomiting, shaking, and sweating. The good news is that after a programme of detoxification, even those with an alcohol dependency can look forward to positive changes in their body. Quitting drinking on your own is not easy – if it were then you would probably have stopped by now. If you have an alcohol addiction, you will find it difficult to break free from the cycle of abuse; if your addiction is severe, it is unwise to quit without supervision. That being said, a less severe addiction may mean being able to stop drinking alcohol by yourself using various self-help techniques. If you are serious about quitting alcohol, you should make sure that you tell the people who are close to you about your intentions. This way you will be held to account and you will be more likely to stick to your promise. Staying away from places where you know alcohol will be present is another way to help you achieve your goal of quitting alcohol. Try to keep busy and arrange alternative activities or alcohol-free outings at times when you would normally drink. How to Help an Alcoholic Quit Drinking? If someone you love is struggling with an alcohol addiction, it will be tough to watch and your every instinct will be to do all you can to help this individual. You probably already know that getting this person to quit will not be easy, especially if he or she is not even aware of how serious the problem is. Communicating with your loved one is key to getting him or her to accept the illness exists and to consider treatment. It is really important to talk to the individual to raise your concerns though however uncomfortable this might make you feel. Nevertheless, before attempting to discuss the issue of alcohol abuse or addiction you should ensure that he or she is sober. Stay calm, avoid getting angry, and be sure to show your support; you may find that the affected person is prepared to accept the problem exists and is willing to consider help. You could also consider staging an intervention where you gather a group of individuals who your addicted loved one loves or respects. Together you can meet with your addicted family member or friend to discuss the impact of the illness on all involved. The aim of an intervention is to encourage him or her into treatment; it should not be seen as a chance to gang up on the person. For most, an alcohol detox will last for between one and two weeks. The first withdrawal symptoms tend to appear a few hours after the last drink and will progress over the following days. Symptoms can be mild, moderate, or severe in intensity but there is no way to predict which ones you will experience or how severe these will be. After a couple of weeks, most symptoms will have passed, although a few – such as mood swings or sleep problems – can linger for several weeks or even months. Alcohol is a substance that affects almost every cell in the body, so when you quit drinking you will likely experience a variety of symptoms as your body tries to get back to normal. The earliest symptoms will be similar to a hangover, with a headache, nausea, shaking, and tremors all common. The symptoms may progress and become moderate to severe in intensity, but most will subside after about a week to seven days. The potential for severe withdrawal symptoms exists for everyone. These symptoms are known as DT, or Delirium Tremens, although it is estimated that only around five percent of affected people will experience them. They are a set of sudden changes in the body that can lead to minor symptoms becoming much more intense. So you might experience severe shaking and sweating, and your temperature may become quite high. You may also suffer paranoid delusions. At their worst, DT can be fatal; a combination of shock, dehydration, and heart irregularities brought on by a surge of adrenaline and over-stimulation of the nervous system can result in cardiac collapse. Quitting alcohol can be a complicated process and there is a very real risk of severe withdrawal symptoms. As some of these symptoms can even end up being life-threatening if left untreated, it is important that you seek medical help when trying to quit alcohol. With professional help, your symptoms can be effectively managed – often with appropriate medication – to prevent the worst symptoms from appearing. You should also be aware that quitting alone can leave you vulnerable to a relapse at a later date. Studies show that those who quit alcohol with professional help have a much better chance of staying sober long-term. Quitting alone means that you will not address the issues that caused the illness and while these are left untreated, there is a very real risk that the symptoms of addiction could return and cause a relapse. Developing self-help techniques could make it easier for you to quit alcohol. For example, it is important that you have a good reason to quit so that you can stay focused and motivated. Perhaps you want to quit so that you can improve your health, or maybe you have been given an ultimatum by a loved one. Either way, know that trying to quit may not work as planned if you are going it alone. Take small steps first, like trying to set limits on how much you can drink each day or week will be easier. Or maybe you could try to make positive changes in your life by developing new healthy habits like exercising more or paying attention to your diet. More important though, stay away from places and people where the temptation to drink is greatest. If you are in the early stages of an alcohol problem, you may be able to cut back on your use rather than trying to quit for good. However, if you have a severe physical and psychological addiction to alcohol, cutting back on your consumption is unlikely to work in the long-term. If you have tried moderation in the past without success, then abstinence may be the only way for you to get your life back on track. You will notice greater health benefits if you completely cut out alcohol. Furthermore, if you are suffering from problems such as cirrhosis of the liver or heart disease, abstinence will probably be your only option. How to Stop Drinking Alcohol Without AA? Joining AA is often seen as an integral part of the alcohol recovery process, but the reality is that it is possible to quit alcohol without AA. Nevertheless, to overcome your illness, you will need to complete a detox and follow this with a programme of rehabilitation. It may be the case that you can quit alcohol with the help of medication such as Acamprosate, Naltrexone, Nalmefene, or Disulfiram. These medications have been recommended by NICE (National Institute for Health and Care Excellence) for use in the treatment of alcoholism. They work in different ways and are most effective when used in conjunction with counselling. How to Get Rid of Alcohol Addiction Permanently? A comprehensive recovery programme is vital to permanent alcohol recovery. 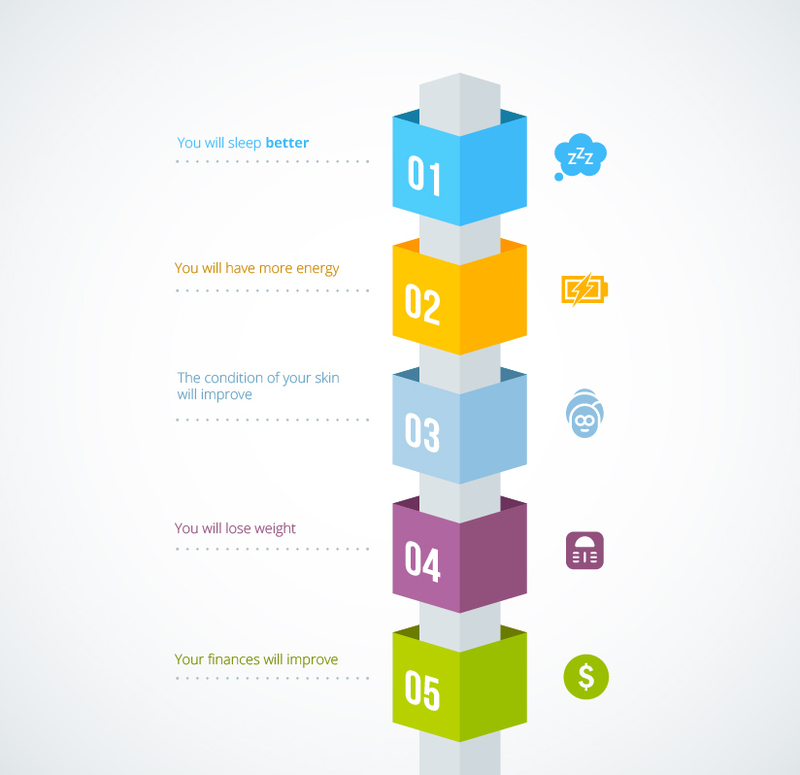 This means that you will need to tackle both the physical and psychological elements of your illness with the above-mentioned detox and rehab. You will also need to work hard on maintaining your sobriety once rehab is finished. There are a variety of treatments used in alcohol rehab programmes and you will likely find that your programme is different to that of another patient at the same facility. Bespoke treatment plans are used to enhance your recovery journey and to ensure that the best tools are used to help you achieve permanent sobriety. 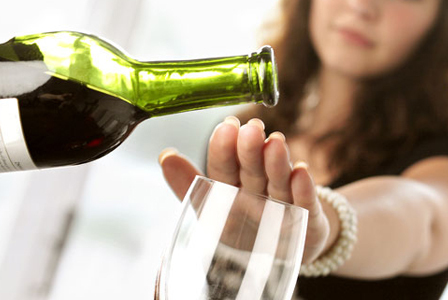 Alcohol abuse and alcoholism are treated with detox and rehab programmes. While separate functions, both are essential to long-term recovery. Detox is used to break the physical cycle of addiction while rehab will address the underlying issues associated with the illness. Rehab programmes take place in either residential or daycare facilities where you will be treated with psychotherapeutic therapies such as cognitive behavioural therapy or motivational enhancement therapy. Holistic treatments such as meditation, art therapy, and yoga might also be used to help improve your overall wellbeing. When you quit drinking, you have to work hard on maintaining your sobriety. The risk of relapse is always present so keeping yourself busy can help you to stay sober long-term. A big part of your rehab programme will be devoted to helping you learn how to live an alcohol-free life – this will include many changes to how you have lived thus far. Overcoming an alcohol addiction is often about taking one day at a time. There is no magic solution or quick fix and you must be prepared to make major changes to your life if you wish to have a long and successful recovery. This means setting goals for yourself and then working towards them. Doing this will give you not only a sense of achievement but also the proof that you can beat alcoholism – permanently. You might have spent a long time avoiding the people around you, wrapped up in your own need for alcohol and wanting to be left alone. It is important therefore that you learn how to communicate effectively if you want to enjoy a long, sober life. Learning how to be open and honest with your feelings is something that you will learn during recovery and is something that can help you to avoid a relapse should you be faced with temptations and triggers. 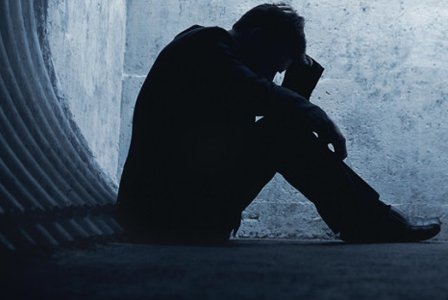 Loneliness is a major contributing factor when it comes to alcohol relapse. You should look to forge new friendships with those in the recovery community. Support is essential in terms of helping you to maintain your sobriety. Getting involved with local support groups will ensure that you always have a place to go and people to talk to should you need to. Nutrition was probably not high up on your agenda when you were abusing alcohol, but now that you are clean and sober, you must remember that a healthy diet is important to your overall wellbeing. Sticking to a healthy diet will mean there is less chance of your blood sugar dropping, which could be a potential cause of alcohol cravings. Exercise is also a vital part of any recovery programme from alcohol addiction. It is crucial to take it slowly in the early days, but if you incorporate exercise into your daily routine, you will soon reap the rewards. Exercise will strengthen not only your body but also your mind. It will keep you fit and healthy, improve your appearance, and boost your confidence. Remember that staying active and busy will give you fewer opportunities to succumb to any temptations and triggers. But choose healthy, sober activities such as walks in the park or a swim at the local health centre. Yoga is also a terrific way to de-stress and improve your mental clarity. Hobbies are a wonderful way to enjoy your new sober life. There are so many things that you could do, such as photography, stamp collecting, arts and crafts, and painting. If you find something you love doing, you can fill your days with happiness and you will never be bored. Will quitting alcohol help me lose weight? Most people with alcoholism get many of their calories from alcohol, calories that have no nutritional benefit. These are known as empty calories and can lead to weight gain. If you quit alcohol and develop a healthy eating and exercise routine, you will almost certainly lose weight. Will quitting alcohol lower my blood pressure? Alcohol has been linked to increased blood pressure, so it is highly likely that if you quit alcohol and keep fit and active, your blood pressure will lower. Can quitting alcohol make you tired? When you quit alcohol, your body will try to get back to normal, which can take its toll and make you, among other things, feel tired you feel tired. Nevertheless, these feelings of fatigue will pass and after a few weeks, you will find that you are sleeping better and will have more energy. If you continue to feel tired after a month or two, talk to your doctor. Can quitting alcohol kill you? There are certain circumstances where severe withdrawal symptoms during an alcohol detox can be life-threatening. It is for this reason that you should never quit alcohol without supervision and why you should consider doing so in a supervised facility where steps can be taken to prevent the worst symptoms from occurring. Can you stop drinking alcohol cold turkey? In a detox facility, you will quit alcohol cold turkey. You will have your last drink and wait while your body expels all remaining traces of alcohol from your system. With careful supervision, you will be safe and comfortable throughout the process. Are there tablets to stop drinking alcohol? Certain medications can help with alcohol withdrawal and sobriety maintenance. Some of these medications can be taken as replacement drugs in tapering doses to help ease any withdrawal symptoms. Others are taken as part of ongoing maintenance to help with relapse prevention. These are drugs that can make you feel unwell should you drink alcohol. How to Stop Drinking Alcohol Home Remedies? There are some home remedies that you can try to help you stop drinking. For example, if you are feeling the urge to drink alcohol, you may find that grape juice is a great alternative. Eating apples is also thought to help curb the urge to drink or concocting a drink of bitter gourd juice with buttermilk not only helps curb cravings but it also repairs liver cells damaged due to your alcohol abuse. How to know when to stop drinking alcohol? If your alcohol use has started to have a negative impact on daily life, then it is time to act. You do not have to wait until you are in danger of losing all that you hold dear before you reach out for help. The sooner you get help, the sooner you can regain control of your life.